In this episode, Rob and Don are joined by J-Novel club founder Sam Pinansky. 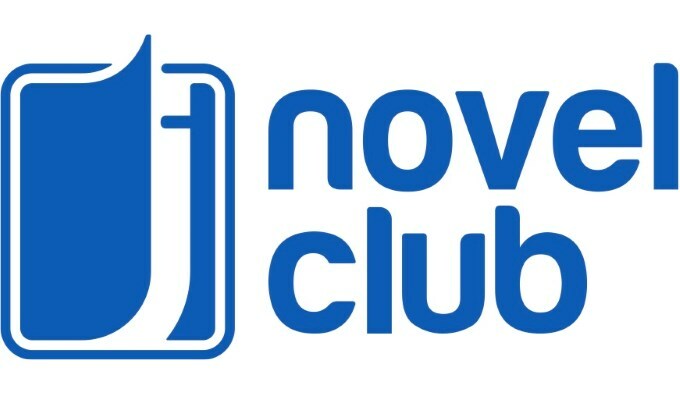 J-Novel club is the largest online seller of translated Japanese Light Novels, and one of the pioneers in bringing these Japanese works to English readers. During this great interview, the trio discuss Sam’s journey to becoming a publisher, the nature of the English Light Novel market, and why Light Novels are exploding in popularity in English right now. All this, and the challenges of translating Japanese Light Novel names into English, are waiting for you in this episode of The Department of Nerdly Affairs. Me? A Genius? I’ve been Reincarnated into Another World But I Think They’ve Got the Wrong Idea! Apprently It’s My Fault My Husband Has the Head of a Beast! My Next Life as a Villianess: All Routes Lead to Doom! I Can’t Believe My Little Sister is This Cute! In this episode, Don and Rob sit down with Simon Vale of Magic Dome Books, a company which specializes in translating Russian science fiction into English. The trio discuss Russian geek culture, Russia’s fascination with litRPGs, and the nature of the Russian book markets. All this, and why the Strugatskie brothers are the greatest Science Fiction writers you’ve probably never heard of, is waiting for you in this episode of The Department of Nerdly Affairs. What first Russian S/F should someone who wants to check them out read? This is Russian Sci-Fi classic. Unfortunately many of their books including some amazing stories aren’t translated or as in this case (https://www.amazon.com/dp/0026151200) are only available for a great deal of money. What distinguishes Russian Science Fiction/Fantasy from English Novels? Style? Audience? Attitude? Speaking about Fantasy I think that there is no big difference. Russian Fantasy is having the same roots as every other Fantasy in the world – books by John Tolkien and Joanna Rowling, Dungeon & Dragons tabletop games and old computer games like Baldurs Gate or Eye of Beholder. There is also some national material based Fantasy in Russia and it is relatively popular. Some authors do specialize on it. It is much more complicated with Science Fiction. The way I see it is – in the end of XIXth century world Science Fiction was mostly positive. You know, human progress, improving medicine, magic of electricity. On that positive basis people once again tried to build the ideal modern society but ended up building two horrible dictatorships – Nazi Germany and Soviet Union. That’s why world Science Fiction of the second half of the 20th century is all about disappointment. Disappointment in progress which is not helping to solve every problem as it seemed before. But since Russia was one of those ideal societies we couldn’t afford such a view. With censorship and all that. So when Polish author Stanislav Lem wrote about how we can’t communicate with any other alien forms because all we’re looking for in space is a mirror and when Isaac Azimov wrote about danger of artificial inteligence and when Heinlein wrote about hunger of the outgrown human population, all that time we kept writing about how great and kind people of the communistic future will be. It was a little naive but Soviet censorship just wouldn’t allow anything else to be published. Maybe this is why PostApocalypse and cyberpunk genres are still popular in Russia. Dark Science Fiction, you know, to balance things up with our inheritance. Maybe this or else maybe because many Russian Science Fiction writers are former military people. For a few years now Russians are reading YA Fantasy mostly. I see many young women writers coming up on stage with that genre. I have to say that Russian publishing market had seen better days. In 90-s average number of copies for a fantasy novel easily could be 25-50 thousands of copies. Even more! Today it’s more like 5000 copies. I mean paper editions of course. Our big problem is the market itself. We have one big publisher which is publishing like two-thirds of all books in Russia. Up until recently we had two. But they merged together and now we have one. It is very hard to work on that market first of all because Russia is very big. Most books are printed in western part of Russia. So when you need to deliver them to the east – it costs a fortune. People do read digital books and here we’re across another big problem of the market – piracy. Still there are ways to make some money on this market, but it’s not very well developed. Many authors in Russia are having their own online shops. Is there a typical Russian Novel reader in English? What are they like? Russian literature on English market is mostly represented with classics. Dostoevskiy, Chekhov, Tolstoy. So I guess typical Russian novel reader in English would be a person who studies foreign literature in university. Russian Fantasy and Sci-Fi are represented much worse. But we’re working on it! 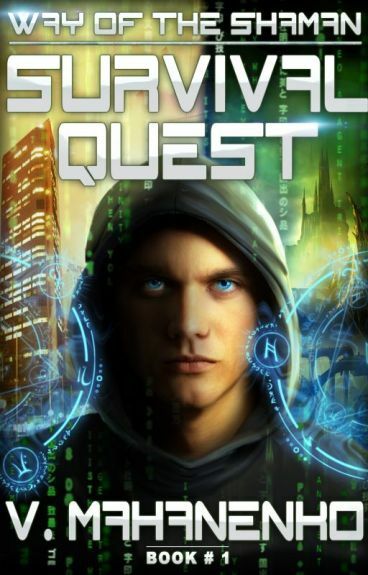 Since we’re publishing LitRPG, our readers are mainly gamers. At least many of them are. MMORPG games are the same everywhere – World of Warcraft or Eve Online. So readers are familiar with all the references inside books. Unfortunately, books from Eastern Europe and Russia aren’t very popular in US in general. There is a splendid series from Polish author Andzhey Sapkovsky. The Witcher. Even if u didn’t read it, u probably know the computer game. And also as you might know – there is Netflix series coming up soon. In Russia it has a huge fandom! Is there a typical Russian hero? What are they like? How are they different from an American one? In modern literature I think typical Russian hero is strong and silent. He’s a loner and he is irregularly shaved. But that’s modern Sci-Fi. There is a classic hero from Russian fairy tales. A fool. Brilliant idiot who gets lucky all the time. Some Sci-Fi author do borrow him for their books.